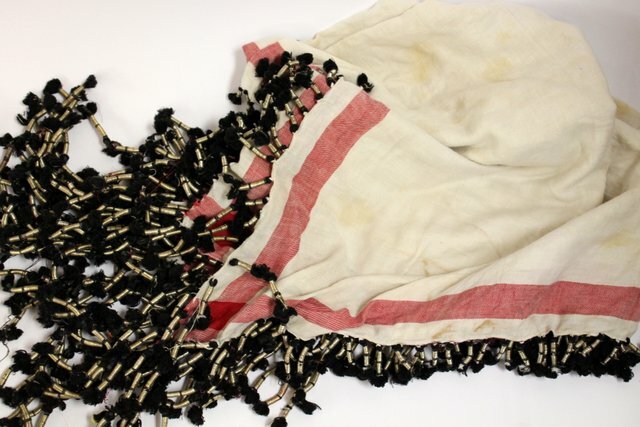 This kind of shawl wiht a lot of pendants was created to be worn by respectable person in a village: most probably a Muslim priest. Ordinary villagers can only wear shawls without any decoration. Yemen, 20th cent.